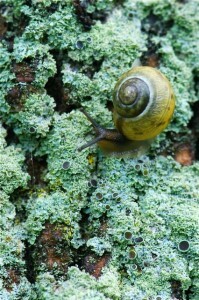 No, it isn't an arthropod this week. Our family is fond of snails. 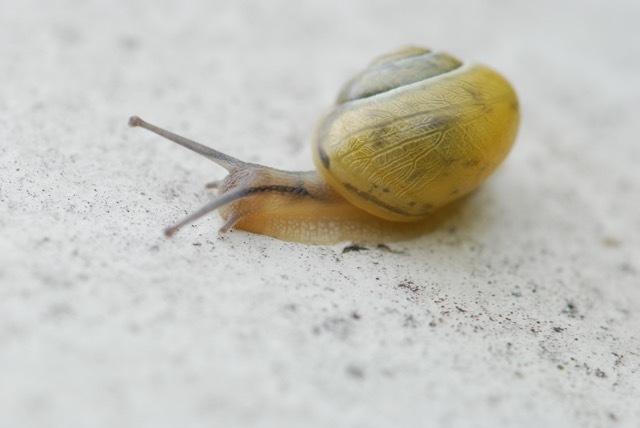 In fact we have raised the common garden snail. It is exciting when they lay the pearly round eggs. 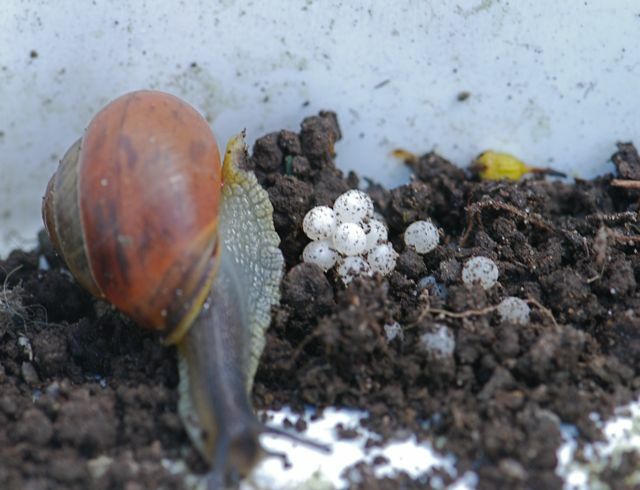 Then each hatches into a tiny perfect snail. 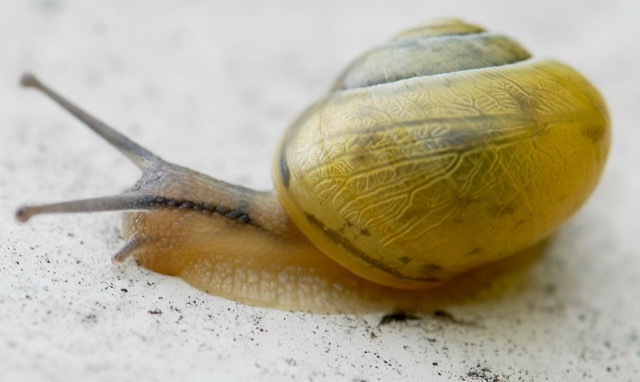 Edit: For a close-up look inside a snail egg, check Beyond the Human Eye. 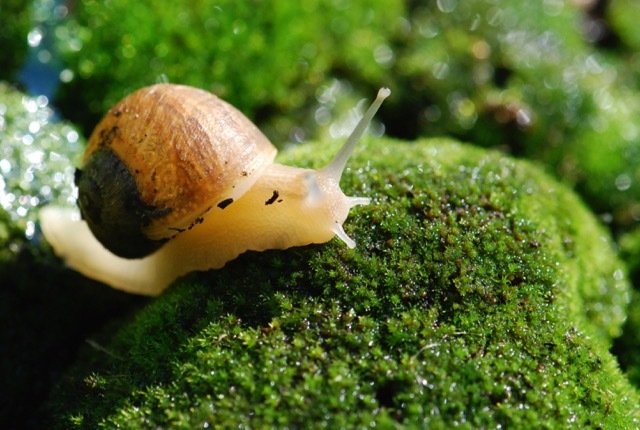 In spite of their reputation for being a slow, a "motivated" snail can actually move rather quickly. 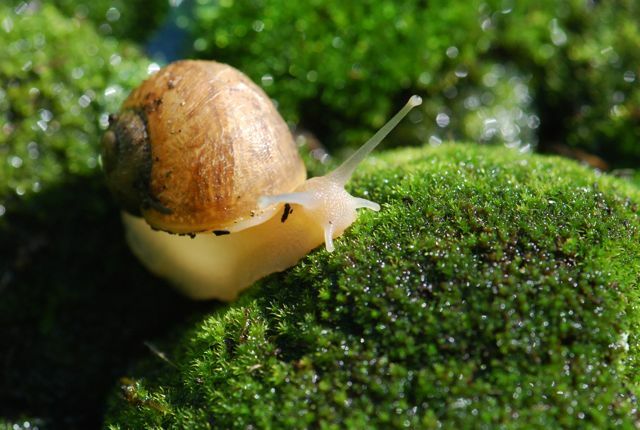 Have you ever spent time watching a snail?